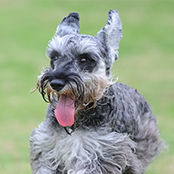 This wonderful breed makes a great companion dog for an active household. This wonderful breed makes a great companion dog for an active household. An energetic and fearless dog with an impressive dash of intelligence. Don’t be fooled by size. 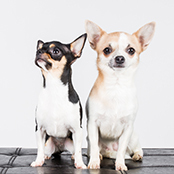 The Miniature Pinscher is packed full of punch when it comes to personality and persistence. They require a good strong leader and, like with all breeds, should only be trained with the utmost of respect and gentleness. Consistency is key, as this little dynamite will certainly be ruling the roost. 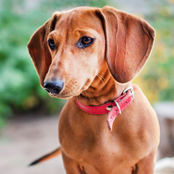 This breed is not recommended for first-time dog owner as they will require a little experience to ensure you raise a confident, well-rounded and trained dog. Early socialisation is important with other pets, dogs, people and experiences. 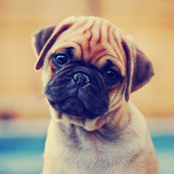 Enrolling in a local puppy-preschool is a great way to add a weekly session of socialisation as well as early training. However, training and basic manners should begin as soon as your wee bundle of fur arrives home. Being a very intelligent breed, they will quickly assert themselves as the leader of the pack unless guided by a firm, yet gentle hand. Training is paramount as this breed is super curious. Teaching a solid recall command and good leash walking skills are essential for a happy dog and household. The breed was originally bred to hunt small prey, it’s important you research this aspect of your dog and understand these specific traits that may not suit your lifestyle. 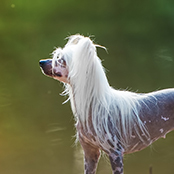 In terms of grooming, this breed is one of the easiest around. Only needing a weekly rub over with a rubber mitt. They are not smelly dogs and only require minimal bathing. 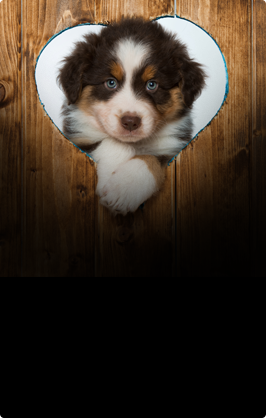 Get your dog used to nail clipping at a young age, this will make the monthly chore an easy exercise for both you and your pup. It’s also a good idea to vet-proof your puppy by desensitising them to the touch zones like the ears, feet and around and inside of the mouth. Make this a positive experience and remember big praise for good behaviour. The Min Pin is an energetic dog best suited to energetic people. They will enjoy a good run but due to their high prey drive and curiosity, training is a must. Your pups willingness to listen will determine your off-leash trustworthiness. Choosing an enclosed off-leash area is best, and constant training is paramount. Many owners never allow their dogs to run off-leash for this reason. They will benefit from two brisk walks daily and a good play session to keep them entertained and happy. Being a very intelligent breed and super energetic, if you do not train or exercise your dog correctly you will be faced with some issues. These may include destructive behaviour and escaping. Known for their Houdini-like nature for squeezing through the smallest of fence holes, it is vitally important you check fences daily for any possible escape routes. Utilizing boredom busting toys and puzzles is key to starve off any naughty behaviour when you are not at home. 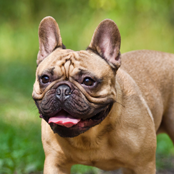 They are a wonderfully funny breed and will most certainly show their humous antics and smart nature, leaving many owners in fits of laughter. When socialised correctly and purchased from a reputable breeder, the Min Pin makes a wonderful family companion. Like with all breeds it is important to supervise interactions with little humans to prevent injury to your wee pup. Sitting cuddles only and lots of supervision. All dogs should be trained and socialised, so they can correctly interact with children, as too, all children need to be taught how to correctly engage and play with a dog. When raised from a young age with other pets, your Miniature Pinscher will love all family members, furry or not. Due to their history of sniffing out vermin it’s probably best not to expect your Min Pin to embrace your smaller mammals like mice or hamsters. Your Min Pin will not tolerate the cold weather and may require a dog coat during the cooler months to keep warm. They are perfectly suited to life indoors and even do well in apartment situations. Like with all dogs, your pup will need a secured fenced area that has ample shade and weather-proof zones. This breed is known for escaping so it is important that you check fences daily for any possible exit points. 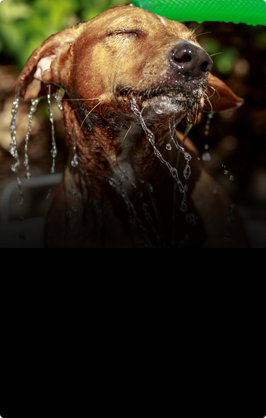 Like with all dogs, they will not take well to life outdoors with no interaction. They are fiercely loyal and loving dogs that need to be welcome inside the home. The Min Pin also makes a wonderful watch dog.